Everybody is expecting Arsenal to loose the game against Spurs tomorrow . This is typical of the flimsy and shallow journalists who have imited knowledge of football and always go with the trend. Like when they were asked to predict who will finish in the top 4. They always choose the four who are at that time ahead of the others. Or predicting the team sitting at the top as the likely PL winner at the end of the season. Or predicting the current bottom 3 to go down only to change it when the bottom 3 actually change names. They cannot in fact analyse thoroughly and make a bold prediction based on their supposedly deep knowledge of the game. The papers have also decided to be pro Spurs because they want and need an exciting run in for the title so their papers can increase sales and keep them at their jobs. - The Arsenal players always raise their game for this encounter. They have done so too against Man City in the semi final. Note: Everyone was predicting a Man City win last week, remember? The papers were also predicting against us for last season's derby but we were about to prove them horribly wrong when Coquelin got himself sent off. - This is a derby game and by definition the chances of winning and loosing are evened out. 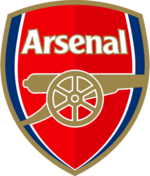 - The three man defence and the two central midfielders in a 3 4 2 1 system has helped solidify Arsenal's defence and provide a basis for more offensive players to do their job. It also means that dozy Ozil can be a bit more forward thus not so much needing to do defensive work concentrating on the more creative aspects of his game. I have chosen Coquelin and Giroud ahead of Ramsey and Welbeck to start as they have a more muscular approach to their game something that will be needed tomorrow. Prediction: I predict a riot!